COMELEC begins voter registration, education campaign on May 6 - Balita Boss! For purposes of the May 9, 2016 elections, registration of new voters will begin on May 6, 2014 and Commission on Elections (COMELEC) urged the Filipinos voters to register early. The registration period will last for 17 months, until October 31, 2015. To ensure that voters will be able to find time to register, the five-day work week schedule of the government agency in-charge of Philippine elections has been modified to begin on Sunday and end on Thursday. The Office of the Election Officer (OEO) or COMELEC office nationwide will be open for the voter’s registration from 8:00 a.m. to 5:00 p.m.
As posted on COMELEC website, the basic requirements for any Filipino citizen to register as a voter are simple: he must be at least 18 years old, and a resident of the Philippines for at least one year and of the city/municipality wherein he intends to vote for at least 6 months prior to an election. On February 15, 2013, President Benigno Aquino III signed Republic Act 10367 or "An Act Providing for Mandatory Biometrics Voter Registration" which requires all voters to submit their biometric information to the COMELEC. According to COMELEC, voters who don’t have their biometrics data will be deactivated from the voters’ list and will not allowed to vote this coming 2016 elections. Biometrics data simply means the digital versions of the voter’s photograph, signature and fingerprints. 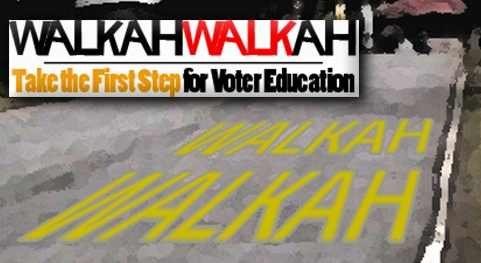 "Walkah-Walkah: Step Juan sa Mulat na Botante"
The COMELEC will also launch "Walkah-Walkah: Step Juan sa Mulat na Botante" project to educate and engage the public on the importance of voter and biometric registration and validation process. The Walkah-Walkah is a a Luzon-wide walking expedition from Laoag in Ilocos Norte Matnog town in Sorsogon. It is walk for voter education and voter information by James Jimenez, the COMELEC’s Spokesman and the Director of the Commission of Elections’ Education and Information Department.